LPD HDTVs: Are They the Future or Simply Late to the Party? Collaboration has come a long way from projectors, cable adapters and that long wait for the presenter to make the slides fit on the screen. 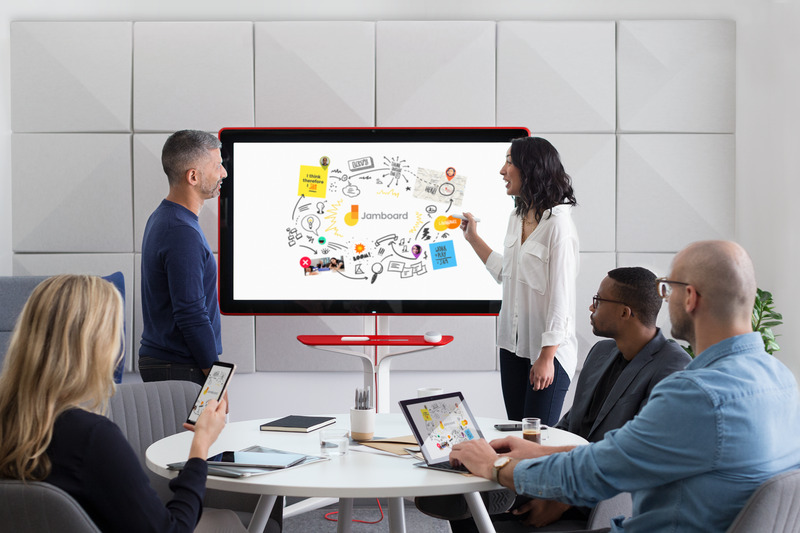 Cisco Systems made a splash last month with the Spark Board, a meeting-room screen that acts like a giant iPad running the company’s cloud-based collaboration service. But other vendors are streamlining meetings too, including Google, Microsoft, and a number of startups. One of these, Silicon Valley-based Prysm, offers a wider range of displays than the Spark Board does and will soon let users connect its meeting-room systems with screens from many third-party vendors. Prysm Visual Workplace is a shared cloud workspace where multiple users can drag videos, documents, presentations and other content. Like Spark, it also includes group whiteboarding. It’s one of many systems that are bridging the gap between in-person meetings and cloud-based collaboration. On Tuesday, Prysm announced Visual Workplace is now compatible with most meeting-room displays based on recent technology. The company’s hardware consists of separate appliances and displays, and customers will now be able to plug third-party displays into the Prysm appliance. The company recommends using screens with 4K or UHD resolution LCDs, a Display Port 1.2 connection and a USB 2.0 touch sensor interface. The idea is to let customers buy displays that suit their particular needs or keep screens they already own, said David Schweer, director of product marketing. Also Tuesday, the company announced new features in Visual Workplace to make the product easier for more participants to use. Live Source Streaming will let users anywhere on Windows, Android, Mac and iOS devices bring live content directly onto a shared workspace. Until now, they have had to import the content to a repository first. Wireless Screen Sharing is a way for participants sitting in a meeting room to share content on the big screen without a wired connection. This feature can be used for Live Source Streaming. It’s similar to the way in-person users can share wirelessly to the Spark Board. Prysm also announced enhancements to Quick Start, its feature for connecting to a screen without logging in. The new features will be available worldwide by the end of March, Prysm said. Cisco’s Spark Board, already shipping in a 55-inch model (70-inch coming later this year), is also a shared, big-screen client in a cloud-based collaboration system. Cisco has a bigger name (and a deep bench of conferencing platforms) but Prysm has bigger screens: Customers can get Prysm touchscreens as large as 190 inches. There are also 85-inch, 98-inch and 117-inch models, plus the new option to use third-party displays. That stupendously big 190-incher, by the way, is designed for “customer experience centers” and starts at a cool US$175,000. This story has been corrected with Prysm Visual Workplace as the name of Prysm's product.